Is there such a thing as transparent aluminum? Not exactly, but manufacturer Surmet has created something very much like it, and it serves as a protective armor as well. If you are a weapons enthusiast, then this is going to get you all excited. You may be thinking about bulletproof glass and how it does the job – to a certain degree. Is there really a need for transparent aluminum armor? Definitely! As mentioned, bulletproof glass does work, but in reality, all it really does is to stop some bullets, not all kinds. More so, when you use a lot of bulletproof glass (obviously, the more you use, the better protected you are) on a vehicle, it becomes much heavier. This results in the slowing down of the car. And when you want to get away from gunfire, slow is the last thing that you need! Enter ALON, the transparent aluminum armor. It is made of aluminum oxynitride. The manufacturing of the transparent aluminum armor begins with the material in powder form. It is then baked in extremely high temperatures, which liquefies the powder. When it cools, the liquid turns into solid, which has to be cooled and polished. 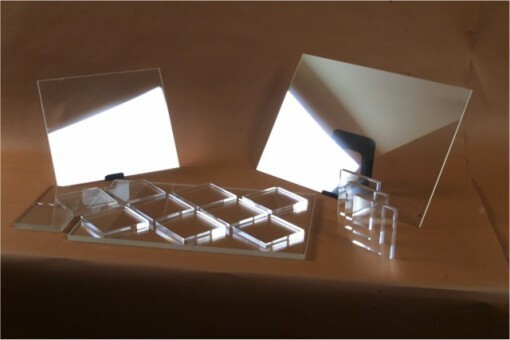 The result is an ultra tough and almost transparent sheet. Not impressive? How about this transparent aluminum armor having the ability to stop a .50 caliber armor-piercing bullet? It can also stop anti-aircraft weapons. Now we’re talking, aren’t we? Another advantage of ALON is that it is more resistant to scratches and the effect of the elements (think wind, sand, etc.). It really does seem like the perfect armor for the military (and tons of other purposes, I guess). However, ALON has one big drawback, which is the main reason it has not totally replaced the traditional bulletproof glass: cost. The entire world knows that the American military’s budget is already out of proportion, and with the cost of manufacturing ALON, it is highly unlikely that we will see its widespread use. There are, however, private individuals and corporations who have cash to burn who will not hesitate to get hold of this material. And with Surmet commercially producing the armor, I think that there will indeed be some takers. Here’s a video if you want to find out more.